As any property manager will tell you, keeping up with all of the records is perhaps one of the most daunting aspects of their job. Our firm has tried numerous software programs to stay on top of our records. Unfortunately we had to adjust our business around most of the capabilities of the programs we have tried, only to be left unsatisfied in the end. 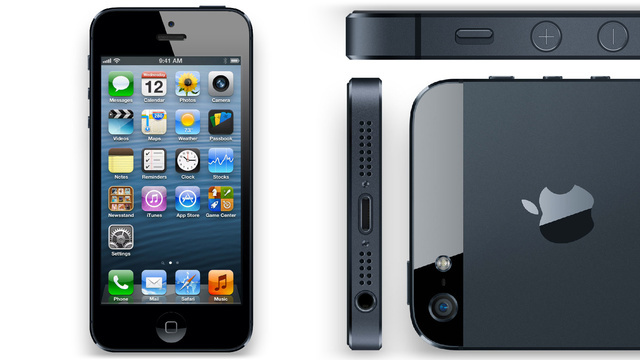 Iphone 5 officially announced, now what? First, I am still perplexed why they named the 6th version of the iPhone as the iPhone 5 instead of naming it the iPhone 6. Up to the last minute of the launch, I have been hoping that they will eventually come to their senses and either call it the iPhone 6 or simply as “The new Iphone” like what they did with the new iPad. If Steve were still alive, I believe he wouldn’t have named it the iPhone 5 as well. It’s the minor details. Second, I was also not impressed with the new hardware, yeah it’s running on the A6 chip which they claim runs 2x faster than the older A5 chip on the iPhone 4s, but it’s not something we were looking forward to since the A5 chip on the iPhone 4s already runs very smoothly for us normal users and won’t notice a bump on the processing power. Sure, the upgraded specs look great on paper, but does it really matter for the users? (not the Techie ones). Third, I was more excited about iOS 6 rather than news about the iPhone itself. Why? A very fast processor and an awesome design won’t matter if the Operating System is crap. The iOS 5 on my 4s runs great, and I’m looking forward to the new features that iOS 6 will bring. The new Maps, Updated Siri, integration to Facebook (meh..) among others. Although iOS 6 will also be available for the older versions of the iPhone, iPad and iPod Touch, there is still no confirmation whether Siri will also become available on those devices. Fourth, Siri. For a lot of people, Siri is just a novelty feature of the iPhone 4s. But I find Siri very useful, I can read (or rather listen to) text and emails and reply to them just by talking to Siri, this is very useful when my hands are busy. And now they announced that Siri has been (somewhat) updated, she can now give you news about sports results, make reservations at restaurants among others. And what I really like is that Siri will now be able to launch apps on your iPhone. And surprisingly, I got more excited about the new versions of their iPods, they introduced a new iPod Nano which looks like a mini iPhone (but visibly not running iOS), new iPod Shuffles and the new iPod Touch with improved cameras and now also features a retina display. So how bout you? What’s your take on these new devices? Is it worth the upgrade? Let us know in the comments. Latest technology now surrounds us and people now a days cannot function well without the help of the technology available. Whether it be a wi-fi connection, a powerful laptop or tablet or an updated smart phone, we are all slaves to this latest technology. Having the latest gadget really makes our life easier and electronic companies are doing all their best to cope up with the change of time and needs of people but, it is not just electronic companies who are dealing with these updates but also the shoe manufacturer. Yes, you read it right, even shoe companies like Nike and Adidas had been bitten by this technology craze bug and why not, we are now living in an era where technology matters so why stick with your old blue print if you can easily adjust with the technology trends and have the money to do it. This device is not registered as part of the iPhone Developer Program. If you are a member of the program, please register your device in the @@[email protected]@. What in the hell﻿ does “We’re unable to complete you” mean? Since when did Apple turn Asian? So how about you, what do you think of the video? Excited to get one? Lol, just leave your comments below. If you are looking for a gaming keyboard for serious gaming, this is what I recommend you should be using. This is also the gaming keypad they use on the new web series “Video Game High School“. 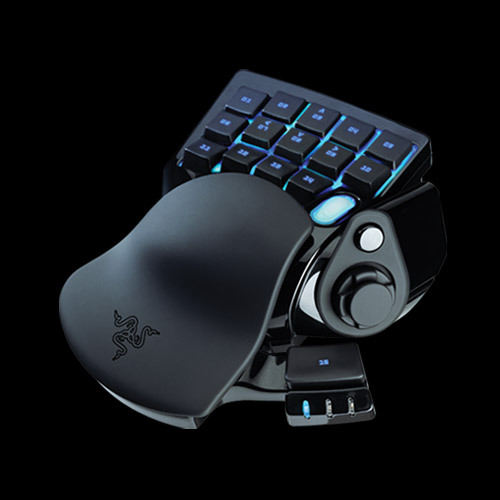 The Razer Nostromo gaming keypad is a stand alone dedicated keypad that has 16 fully-programmable buttons and an 8-way directional thumb pad for extreme and fast paced gaming. It also features a programmable 8-way directional thumb pad that you can use for movement or as modifier keys that you can program to use for that much needed functionality to gain an advantage to your opponents. It basically looks the same as the Belkin N52TE, because apparently, they have struck a deal with Razer to continue and repackage their N52 speedpad. Although the Belkin N52TE is cheaper, Razer has improved upon on the old N52TE speedpad and makes up for the price with the added features and (although essentially the same design) Razer has improved upon the Nostromo’s look with their brand’s black colour scheme. The Razer Nostromo also has backlighting which aside from making it look a lot cooler, it’s also so you can use it even in dark conditions. This is also a great alternative if you don’t want those bulky and expensive gaming keyboards like the $300 Mad Catz Strike 7 gaming keyboard. 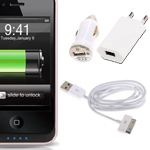 GPS, or Global Positioning System, tracking is becoming increasingly common as a solution for locating and keeping on top of the movements of commercial and personal items. Using satellites and receivers to triangulate the location of a device, GPS has developed from military uses through to being part of smartphones and other consumer devices, and has also become an important part of business asset tracking and personal security. It’s worth, then, reviewing how GPS tracking works, as well as what some of its basic types and applications are. GPS tracking depends on a satellite network that can transmit microwave signals to the Earth, where they can be received by devices. 27 satellites are in orbit around the planet, with 24 in operational use. The others act as backups. These satellites emit signals that can be received by sensors in a device, and converted into coordinates that can accurately map the exact location and movement of the device. The process of detecting and coordinating a location is known as trilateration, and requires there to be a clear matching up of signals with the available satellites. Parenthood changes all areas of life. In addition to the tasks of making the house childproof, investing in a mobile computer that can better withstand the challenges of a busy dad’s life offers peace of mind. A rugged laptop stands a greater chance of surviving mishaps kids might cause. It’s also better suited for adventures, such as camping, road trips, travel and working outside while hanging out with the kids. We already know pretty much how much our Smartphones cost, but how much is it’s true worth is a totally different thing. Sure we know that a contract free iPhone costs around $649, so it should be worth around that number. Geeks and other tech enthusiasts already knows whats under the hood of these smartphones, and can give you a quoted price on how much the individual costs of each components stack up. But that would not really reflect the actual worth of the Smartphone itself. Nintendo has had a very rough year. Having gained nearly a billion dollars in net profits over the fiscal 2010, this past year saw the company setting a grim precedent. For the first time in the gaming company’s long history, the year was a net loser; in the amount of around half a billion dollars. Nintendo, whose name and iconic titles have become nearly synonymous with gaming itself, faces high stakes for the upcoming generation of gaming hardware. Nintendo absolutely needs another Wii-sized hit in the console market, and may be faced with unprecedented handheld competition from every angle. Power to the people, the online people! You were probably online when most of the majors news and events that happened in this decade got around. Experts claim that today, social media has already become the main source of news and other info for hundreds of millions of people around the world. Facebook alone has more than 900 million users and is expected to hit a Billion user anytime this year (2012). Not counting the other millions of hoaxes, social media giants like Twitter has helped warn people of impending disasters, scams and other helpful information that went viral. Here we take a look at a nice infographic about the power of the internet and the subsequent power the people on the internet has. It’s no surprise that more than 13 million members of the general online community used the internet and other social media platforms to protest SOPA and PIPA, a proposed Internet censorship bill which Tech4idiots also participated in.